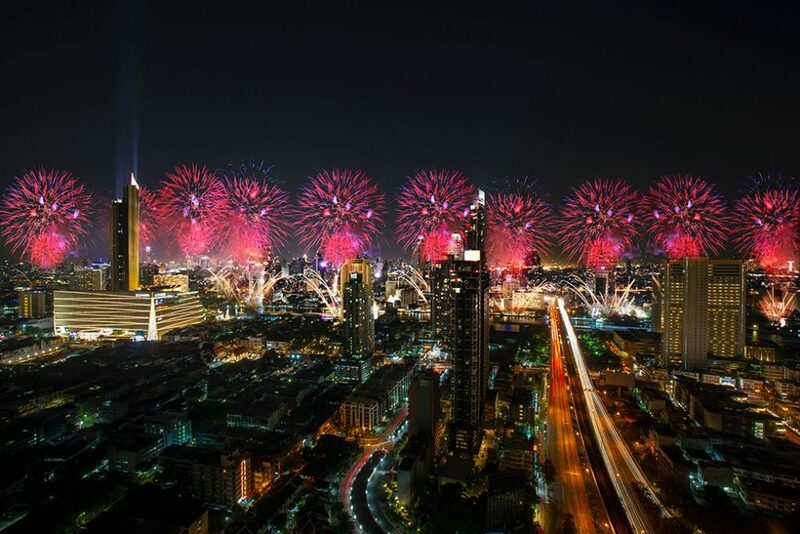 Thailand is a country that comes to the mind of everyone who wants to have an experience in Asia, and nothing better than to know the celebrations in Thailand 2019, to help decide the best month to travel. 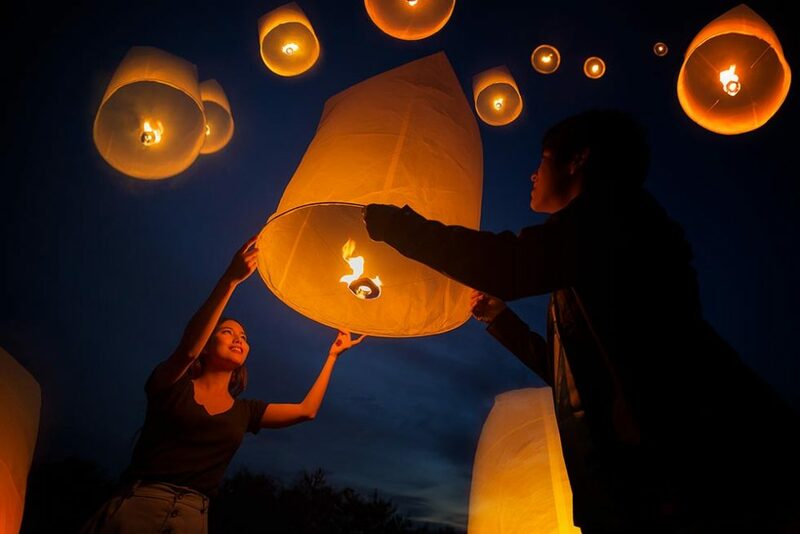 The Lantern Festival in Chiang Mai at the New Year and Songkran, the festivities of the new Buddhist year, are the most important Thailand Celebrations in 2019 you should not miss. But stay here with a full list of Thailand Parties for every month of the year. 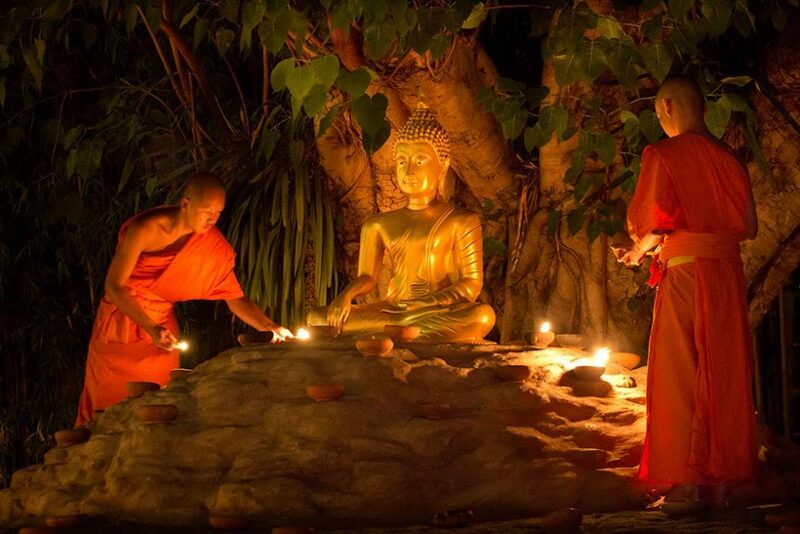 Thailand is a Buddhist country and celebrates the new year in April, unlike the Western world. But still, this day is celebrated for the many tourists that visit this country on this season. You can expect lots of parties, from north to south of the country, especially in the islands and the capital, Bangkok, but nothing very traditional. 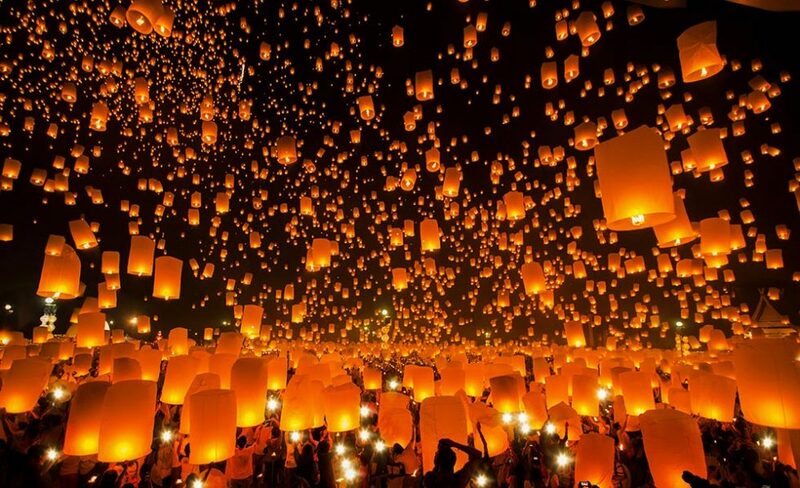 Except in Chiang Mai, where they celebrate the “Lantern Festival“. Chiang Mai is a big town located in the north of Thailand, but they keep their nice small city vibe, especially if you spend your days in the old city of Chiang Mai, near the canals. At the Lantern Festival in Chiang Mai, thousands of locals and tourists flock together at night, with paper balloons, with a multitude of styles and colors, all with a candle inside. When lighting the candle and holding the paper balloons up, the warm air inside the balloon begins to make them float and then rise in the dark skies of Chiang Mai. It’s just an incredible view. During this month, you can see the celebration of the New Chinese Lunar Year. Although Thailand is a Buddhist country, it has enormous influences as well as a large Chinese community, especially in the major cities. 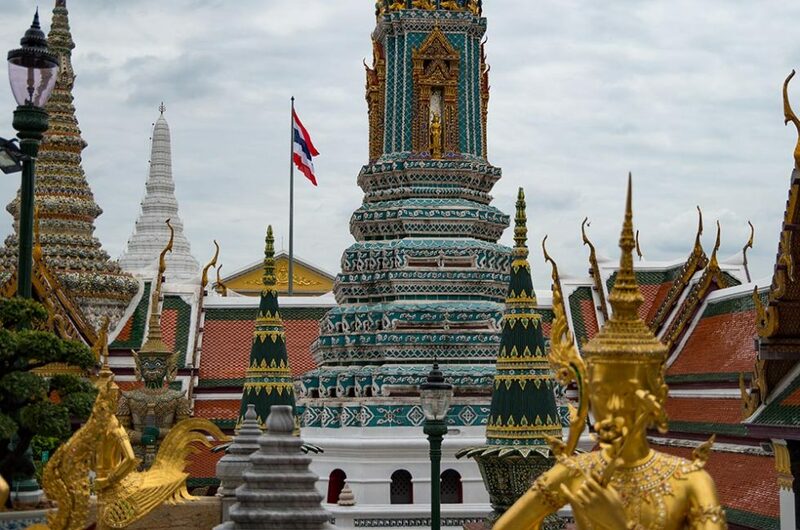 In Chiang Mai, Bangkok or even Phuket, it will be an excellent opportunity to visit the Chinatown that exists in each of these cities and be part of this celebration. Especially in Bangkok, it is possible to see all over the city decorated with red symbols, on the doors of houses, typical of this celebration. There will be better countries to celebrate the Chinese New Year Lunar than Thailand, but no other that is possible to join this celebration with a set of paradisiac islands where to go immediately before or after. 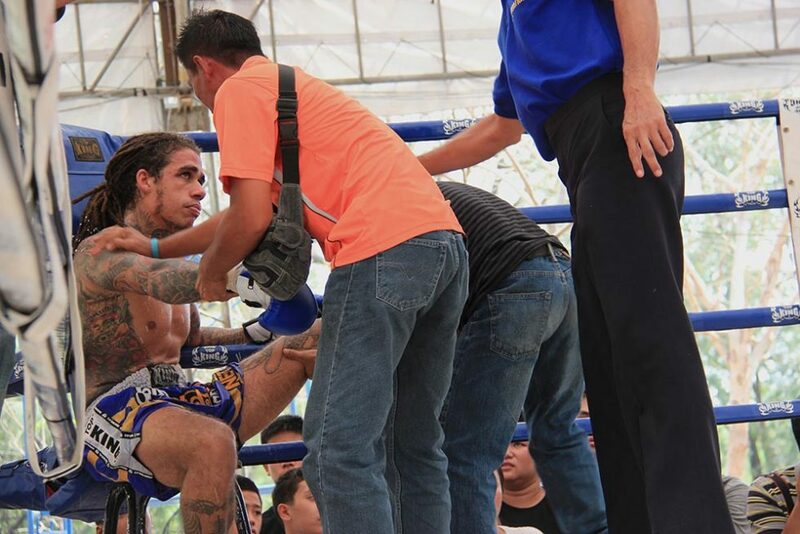 Muay Thai Day, also known as Nai Khanom Tom Day, takes place on March 17 and is an event that attracts all those in love with this Thai martial arts sport with various ceremonies in many gyms in the country. Mai Khanom Tom was a Muay Thai warrior in Ayutthaya era and, still, today is remembered by all who practice this mode. 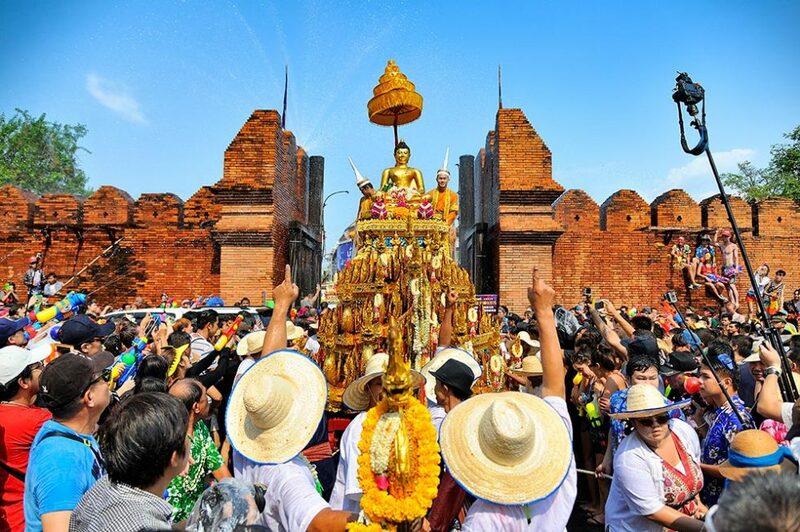 For this reason, the main destination to spend this day is the historic city of Ayutthaya where you can witness the most important events of Muay Thai Day. 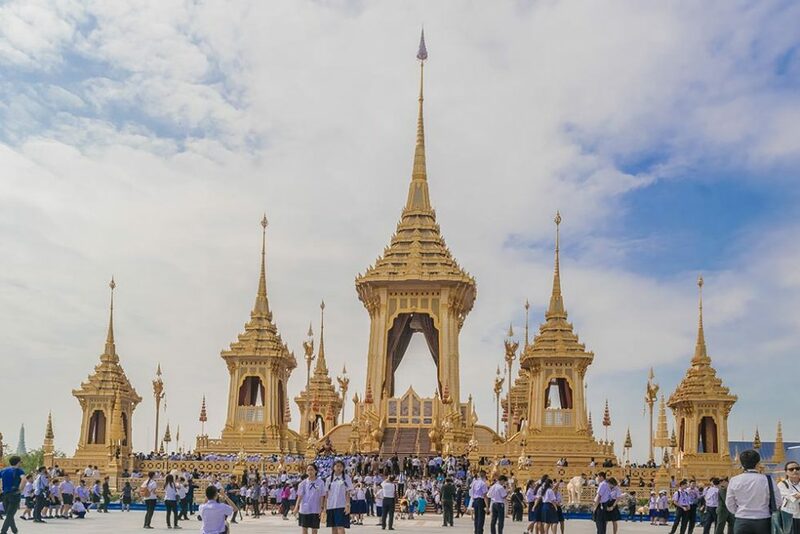 This is where the Martial Arts Festival and the Wai Khru ceremony take place where the students pay homage to their teachers. 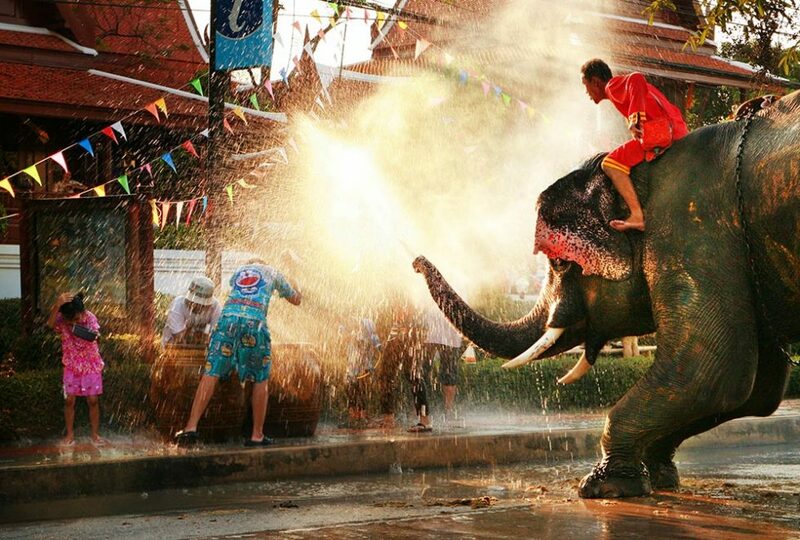 Bangkok, or more specifically, Kao San Road, or even Ayutthaya are the best place to be on this celebration and prepare yourself to be soaked wet all day. In May you can enjoy the Hua Hin International Jazz festival that takes place on Hua Hin beach. It is a festival of contemporary music, with Thai and International musicians, having as the main attraction, besides music, the fact of occurring in one of the beaches, not as touristy as the main islands, but still in paradise. For boat lovers, you can watch Samui Regatta on Koh Samui on the eastern side of Thailand. As well as relaxing on the excellent beaches of Koh Samui and watching this sailing regatta, you can also enjoy the superb beach parties organized together with this event. The Visakha Bucha is an event that attracts all who follow Buddhism, meaning the birth and entrance into Buddha’s nirvana. All Buddhist temples throughout Thailand are crowded with people listening to sermons on Dharma (the teaching of Buddhist philosophy), and with candle processions around the main temples containing the Buddha statue. On this month you can experience some of the more exotic Thai fruit. 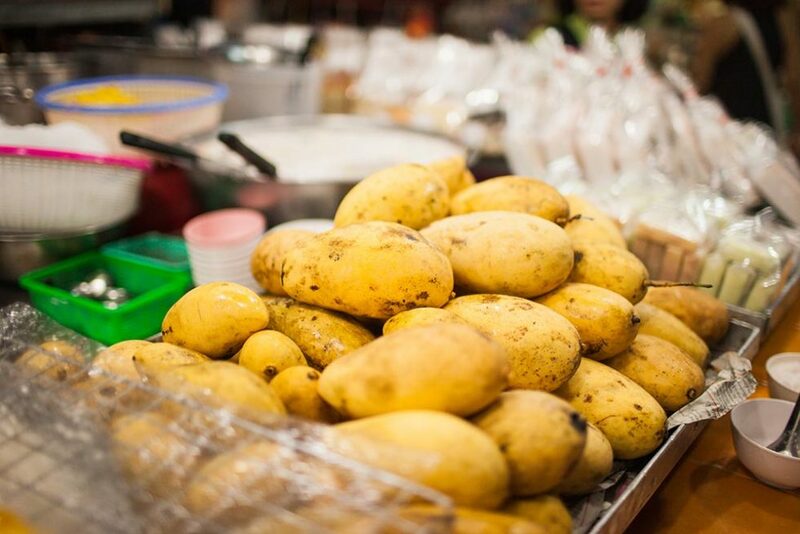 It is in Chiang Mai, at the Mango Fair that takes place in Buak Hat Park, where farmers participate by promoting their products to the whole community. The mangos are the highlight, so expect to find there the best ones in all Thailand. On August 12, the H.M. Queen’s Birthday, wife of the former King of Thailand, HM King Bhumibol Adulyadej, is celebrated. On this public holiday, most of the bars are closed, and even it is forbidden to sell alcohol. Numerous celebrations take place all over the country, with photographs of the queen everywhere, such as schools, government buildings, and temples. The main event of this month is the National Flag Day, celebrated on September 28th. Thai population is very patriotic, and it is possible to witness, not only on this day, all the streets from north to south of the country, with flags placed everywhere and not just in government buildings. This month has celebrated the death of King HM King Bhumibol Adulyadej (Rama IX) on the 13th. It is a day widely respected by all Thais for the respect they all had for their king. For this reason, many bars are closed, and the sale of alcoholic beverages will be prohibited. 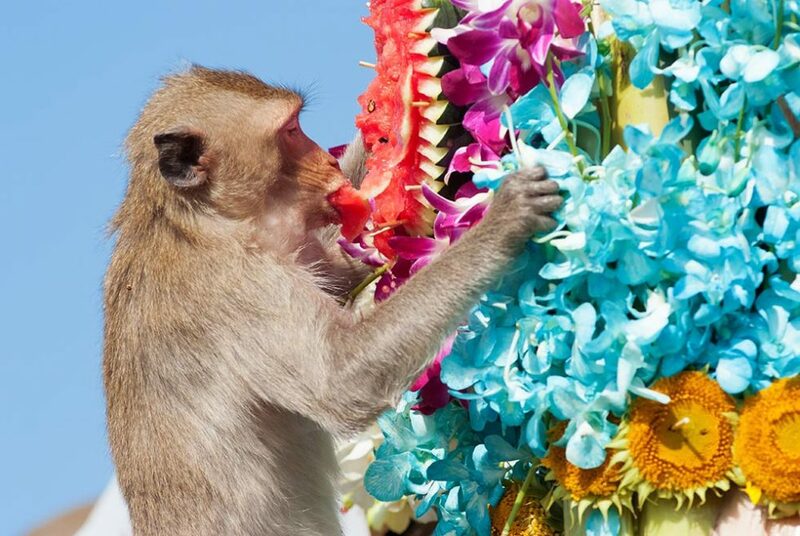 In Lopburi, (150km from Bangkok), on the last Sunday of the month, the Monkey Banquet Festival is held. Not being a traditional or religious event, it has existed since the early 80’s. It is a celebration that aims to thank the primates that inhabit and are part of this city, for having been during these years, a substantial motive of tourist attraction. Of course, this party, although dedicated to the monkeys of this city, is also held to attract new tourists to this city, with plenty of food and drink for humans. For the fantastic weather in December, and the New Year’s Eve, many tourists prefer to go there, and spend this festivity in one of the beaches of Thailand, with amazing parties together with other tourists. Or you can try the crazy night of Bangkok. In Chiang Mai, taking advantage of a more traditional and calm side of the city itself, it is ideal to be in a tranquil and even familiar environment during the New Year’s Eve. 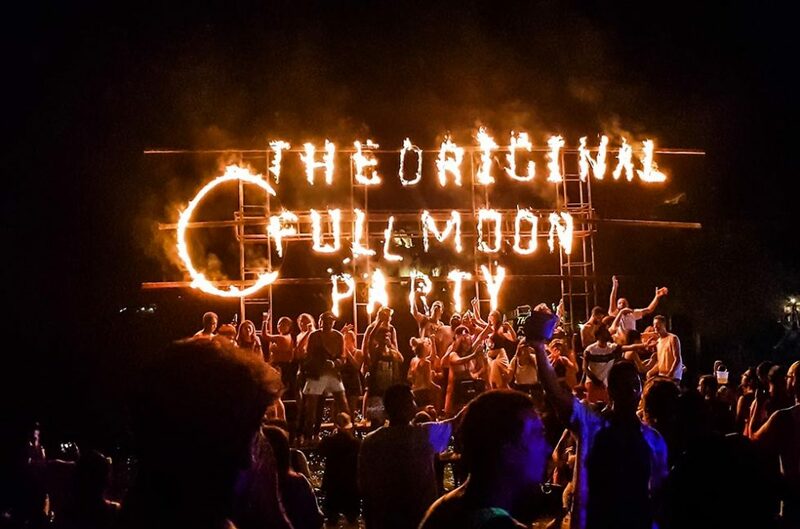 Full Moon Party is one of the main events in Thailand, and it is not at all surprising that the entire journey is conditioned by the date of this party so that it is possible to be in the ideal place. This is one of the parties that have no religious or even cultural basis. It all started in the early 1980s (1983) when a small group of tourists (20-30 people) decided to party on a beach in Koh Phangan on a full moon night. 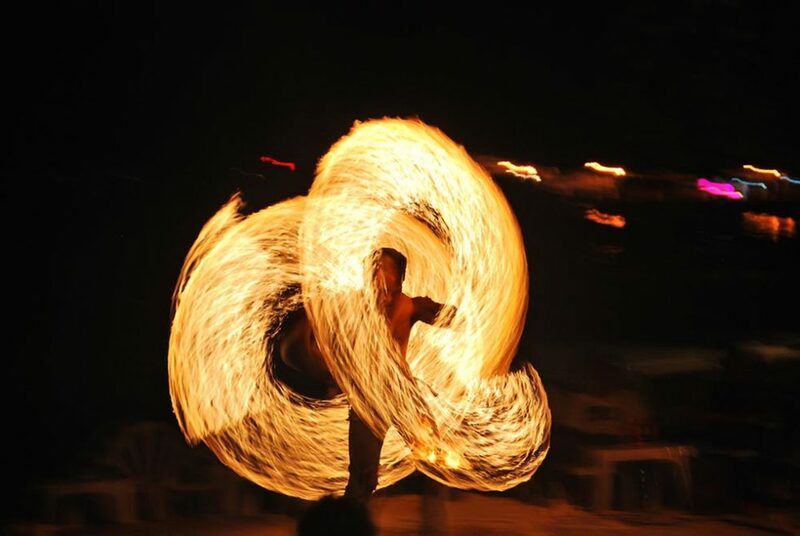 From there until the success of today, just through the word, it did not take long to attract crowds to thrill with the party of Full Moon Party, helping the tourism of this island. Nowadays, Full Moon Party attracts thousands of people, from tourists from around the world, to mingle with the locals at a crazy party, painting their bodies with colors that reflect the light, creating a crazy effect. 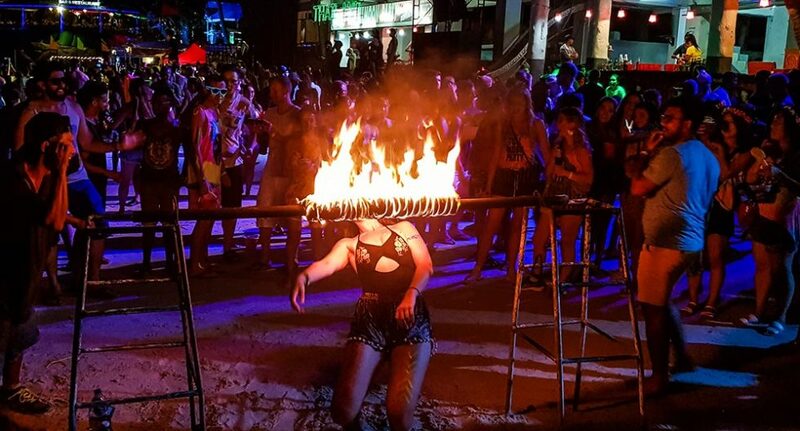 With music from Psychedelic Trance, R & B, Drum N ‘Bass or even Reggae, these are the styles of music that will accompany you at night with thousands of people scattered across the paradisiacal shores of Koh Phangan. If you plan to travel to Thailand and live this party in Koh Phangan, prepare yourself well for the hassle. Once you book your trip, book the accommodation right away, as it will be normal for everything to be very crowded, with prices slightly above average. Here are the Full Moon Party dates for 2019. It’s up to you to prepare your trip well, book accommodation well in advance, and get ready for a lively party on the sands of Koh Phangan. You’ll love it. Hopefully this article will help you decide the time of year when you travel to Thailand and find one of these parties in an amazingly beautiful setting. It will undoubtedly be an extra element to remember this passage through this country. 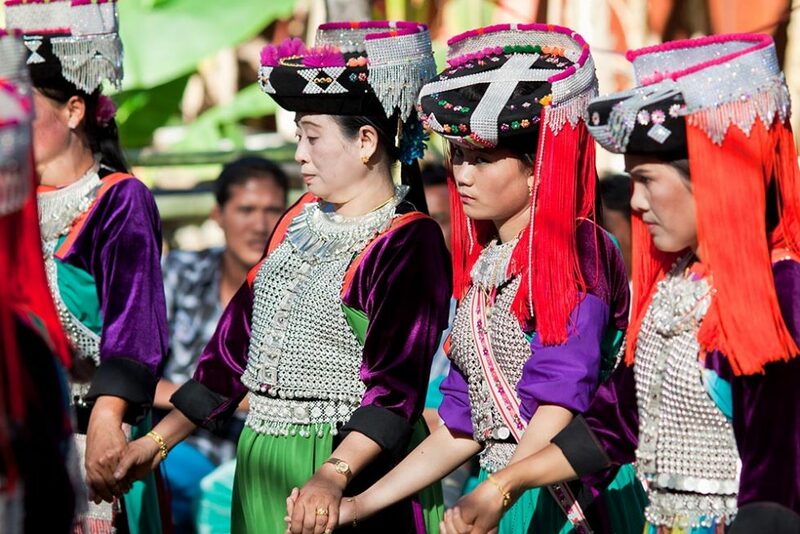 For better planning, check out our article and enjoy your trip to Thailand well.